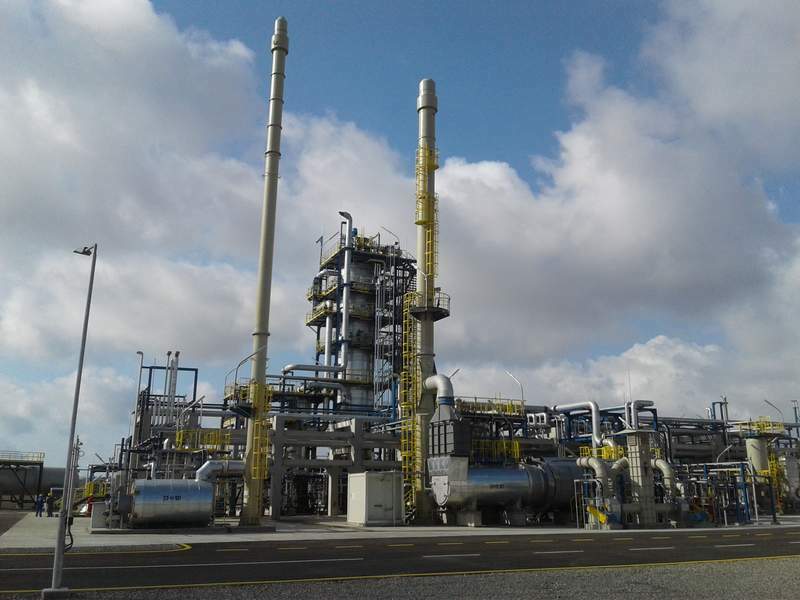 On December 21, 2018 Azerbaijan´s state energy company SOCAR invited to the festive opening ceremony for the new Biturox® plant in the Heydar Aliyev Refinery outside of Baku’s urban area. 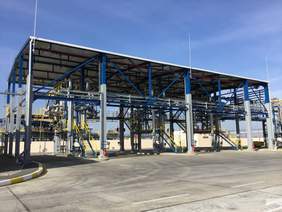 EPCM-Engineering Partner Pörner and SOCAR are pleased about a successful commissioning as first part of the refinery reconstruction. 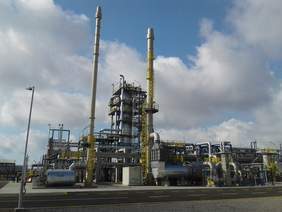 Since the beginning of operation of the existing Biturox® plant at the Aszerneftiag refinery in 1995, the face of Baku has changed dramatically: The capital of Azerbaijan - famous for its unique historical core - is now characterized by modern buildings along the coast of the Caspian Sea, such as the Flame Towers. The urban development was taken into account and decided to close the old refinery, now located within the city, and in return to expand the northern lying Haydar Aliyev refinery of the national oil company SOCAR to highly efficient oil processing at the latest international standard. 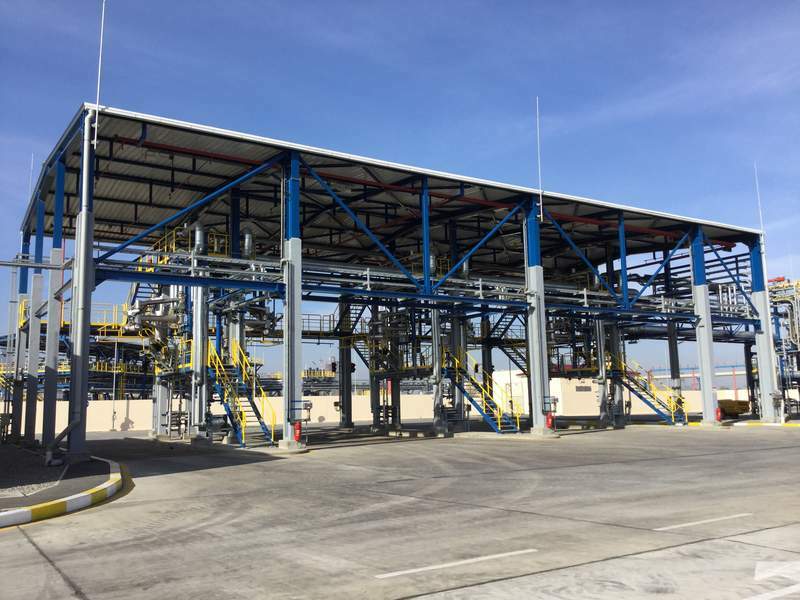 The first subproject of this ambitious project represented the bitumen plant operating with the worldwide proven Biturox® process of the Austrian technology company Pörner. The EPCM contract of Pörner included licensing, pilot testing, basic and detail engineering, supply of main components as well as site supervision, commissioning and start up assistance for the process plant and ancillary plants. By using the Biturox® process, high-quality bitumen can be produced from the Azerbaijani crude oils by oxidation of refinery feedstock. The further improvement of the national road network of the 86,600 km2 large country is an urgent issue of the government. On the 21st of December, the opening ceremony of the SOCAR bitumen plant was held by President Ilham Aliyev. Using the latest off-gas treatment system, and designed for an annual capacity of 400,000 tons road paving bitumen grade 40/60, this plant meets the high demand for quality bitumen for the further expansion of the road network of Azerbaijan. It optimizes operating costs for the Heydar Aliyev refinery and significantly improves the ecological situation of Baku region. The project consists of two areas. The first area includes the Biturox® Plant, where the reactor produces road grade bitumen according to international standards. 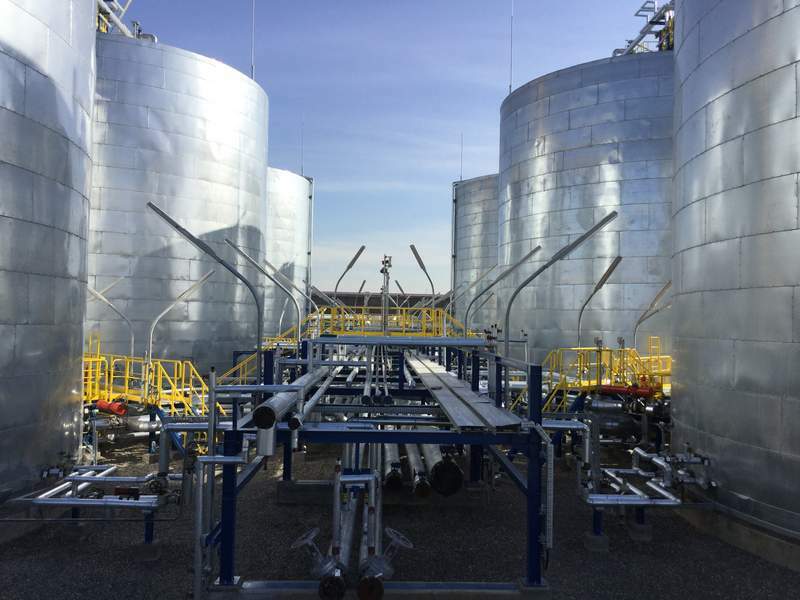 The second area consists of 6 storage tanks and a loading station with six truck loading points. The IMO 2020 Regulation reduces the global limit for sulfur in bunker oils from the current 3.5% to 0.5%. So from 2020 refineries will no longer be able to sell their unrefined residues as bunker oils or as marine fuel. "The Pörner Biturox® technology with high yield and low investment costs is an ideal solution for the expected IMO regulations. With Biturox®, our customers produce the best bitumen qualities from a wide variety of crude oils and use the residues of the distillation economically," says Andreas Pörner, Managing Partner of the Pörner Group. 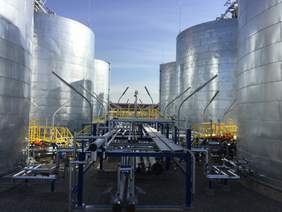 With more than 50 licensed Biturox® bitumen plants, the Pörner Group is the world leader in bitumen oxidation technology and realizes turnkey bitumen plants, including all infrastructures, from a single source. About 15% of the world's bitumen production comes from Pörner Biturox® plants. In India, the total designated capacity of all eleven Biturox® plants built is equivalent to about 80% of the national annual demand. Since 1994, the Pörner Group has realized 34 projects in the CIS states, including nine Biturox® plants. The Heydar Aliyev Baku Oil Refinery is located near the capital Baku and is currently undergoing extensive modernization. The annual processing capacity will increase from six million tons to seven and a half million tons. All grades of fuel produced, will comply with Euro 5 standards and are quality feed materials for the Azerkimya downstream plant, such as ethylene, propylene and butylene.